The Spooky Shack is the third restaurant location in the game. To earn the “expert” score in each level, follow the strategy tips described as well as the upgrades suggested. Tip: In the mini-levels, always try to get as many bonus food items as possible. This will save you time in having to prepare extra food during game play. When this level begins, prepare soda and a meatball/pasta dish. Seat the two business ladies first. After this serve the Celebrity and business lady. As a rule, the most impatient customers should be served first – Business Ladies, Celebrities and Starlets. When you seat Starlet, be sure there is another customer on the left and right side of her. The Starlet can temporarily boost the mood (hearts) of the customer nearby. There are a lot of Senior customers in this level. They are slow to order and eat. However, they are very patient and can wait longer than the other types of customers. Serve them one at a time, since your other customers will get impatient waiting. Seniors in this level will always order the meatball and pasta. Continuing with level 22 of this Cooking Dash 3 walkthrough, you will notice an increase in the number of impatient customers. Your first priorities for seating are the Celebrities, Business Ladies, Mr. Bucks then the Young Ladies. Consider the drive through customers secondary. Start off by preparing drinks and a purple salad. Use the music box often to boost the mood of customers waiting in line. Note: Keep in mind that you will only get the 100 bonus when a customer’s heart count is full. When seating customers, try to color match them to earn extra bonuses. Your bonus increases every time you use the same color in the same seat. There are a lot of Mr. Bucks customers, so try and take advantage of this bonus. As always, your first priority customers are the Celebrities and Business Ladies. Chain the customer food deliveries, clearing dishes and money collection as much as possible. Prepare drinks before seating customers. Use the music box often to boost the moods of customers waiting in line. Color match seating customers. To get the expert score in this level you will need to get that 100 bonus on most of the customers. Use coffee on customers that you have delivered orders to whose heart count is below full. This will help make sure that you get the 100 bonus when you collect their money. Before seating customers, prepare drinks. Color match customers seating as much as possible. Chain the customer’s food deliveries, money collection and clearing dishes. Use the music box often. If customers arrive in pairs, consider them a priority. Otherwise, take care of the customers with the lowest level of patience first (Business Ladies and Celebrities). In this level, you will also have the slower customers – Seniors and Mr. Bucks (who double orders). Consider them last priority after the drive through customers. When you can, use the hot sauce on the slower customer’s food orders to cause them to eat faster. If you survived the last section of this Cooking Dash 3 walkthrough, prepare to up your game.This level is all about speed. Prepare drinks and an orange salad at the beginning of the level. Seat the Business Lady and Celebrity first. As always, color match seating to earn extra bonuses. Use the music and coffee often to boost the mood of customers. This is important since you will need to earn the 100 bonus on every customer in order to get the expert score. Note: Also keep in mind that delivering food that is prepared perfectly (you will see hearts circling around the food) will automatically boost that customer’s heart count. Start off by preparing drinks. Seat the first batch of Celebrities and Business Ladies. Chain food all food deliveries and money collection when possible. Use the music box often to boost the mood of customers waiting in line. You will also need to get the 100 point bonus on the majority of the customers (including those that arrive at the drive through) in order to get the expert score. Towards the end of the level there will be a lot of Senior customers. Think of them as second priority customers. However, keep in mind that all of the Seniors will want meatball and spaghetti plates (which will take extra time to prepare). This level is tough!! Be patient since you may need to play it a few times in order to get the expert score. First of all, you will need to constantly prepare a lot of meatball and pasta plates. The Deluxe Stove will cook fast and keep the food from getting burned too quickly. Use this to your advantage and prepare as many orders you can (instead of using the bonus dishes earned from the mini-level). A perfectly cooked dish can earn 150 points when delivered quickly. Always make sure you keep an eye on the stove and click on it when the food needs attention. Once the stove has finish cooking an item, be prepared to place another one to cook. With this tip in mind, your priority customers are always the Business Ladies, Celebrities and Starlets. The exception is customers that arrive in pairs. Don’t forget about the drive through window. Chain all actions and color match seating. To speed up the slower customers (Young Ladies, Mr. Bucks and Seniors), give them hot sauce with their meal. Towards the end of the level, there will be a lot of Mr. Bucks customers. Use the same seat for each Mr. Bucks in order to take advantage of the increasing color match bonus. Screenshot images were taken by Sheila Robinson. 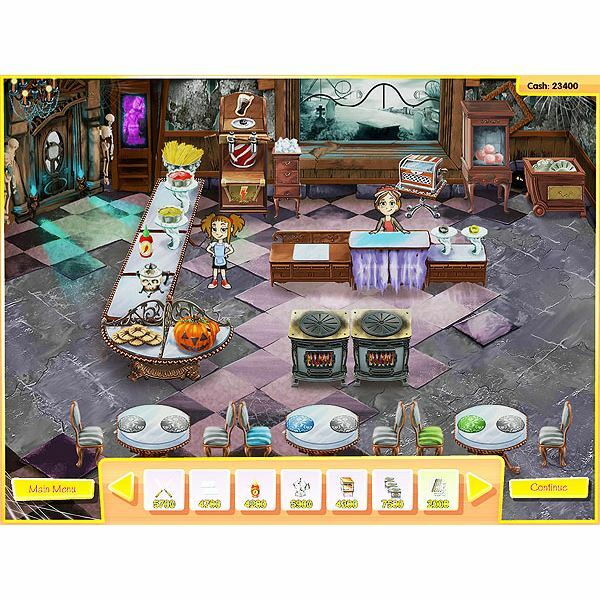 Strategy tips for this Cooking Dash 3 walkthrough were based on Sheila Robinson's game play in expert mode. 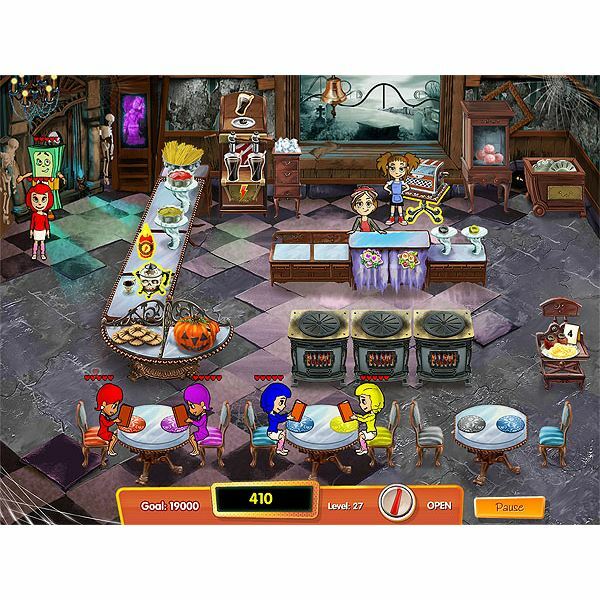 Cooking Dash 3 is a time management series based on the popular character Flo from the Diner Dash games. This game guide will give details about the game, basic tips and strategies for expert mode play.